The history of Argentine military aviation begins on July 8, 1867, when an observation balloon was used during one of the battles of the Paraguayan War. However, the official date of the establishment of the Argentine Air Force is August 10, 1912. On that day, the first school for training military pilots was established by President Roque Sáenz Peña. The first directors of the school were Enrique Mosconi, M. J. López, and Jorge Newbery. In 1927, the General Directorate of Aeronautics was created to coordinate Argentine military aviation. That same year, the country's main aircraft manufacturer, the Fábrica Argentina de Aviones SA, was founded in Córdoba. 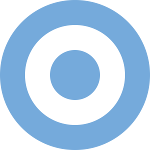 The Argentine Air Force (FAA) was established as a separate branch of the country's military in 1945. The Falklands War took a great toll on the Argentine Air Force, which led to a period of reduced activity. Since 1991, the FAA has been participating in the UN peacekeeping operations. As of 2010, it had 163 aircraft, 14,600 active military personnel and 6,900 civilian personnel.